I’m delighted to say that the outputs of this project are ready for sharing. 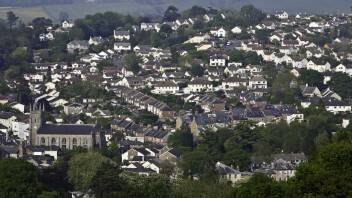 This post is about the work in Totnes, which started in 2011. 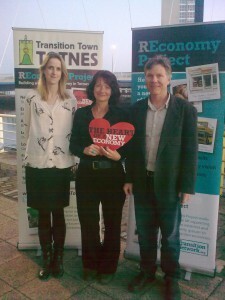 It’s a combined effort of the national REconomy Project, along with Transition Town Totnes (TTT). 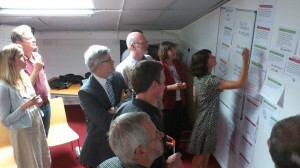 Outputs from Herefordshire will follow shortly, and those from Brixton in London by mid 2013. 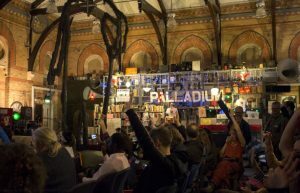 Our aim was to see if we could estimate the potential value of a new kind of local economy, mainly in terms of money (revenue and jobs), but also exploring the social and environmental benefits that come with a Transition approach to enterprise. We thought that this work would help us to connect with our local organisations and councils using their language, and to raise awareness of the potential ‘size of the prize’. We wanted to ensure that this Transition economic model was taken seriously, and that we were seen as a credible group with a viable plan for a deep transformation of our community (not discounted as a bunch of hippies and/or little old ladies selling a few pots of homemade jam). What kind of local economy do we want? The first thing we did was to invite our local ‘stakeholders’ to a workshop to explore what kind of local economy we want here in Totnes (and surrounding villages aka the District). 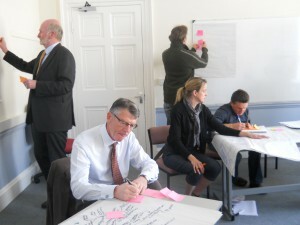 These stakeholders were senior representatives of the local organisations with a remit for, or an interest in, our economic planning and included: Totnes Town Council, Totnes Chamber of Commerce, South Devon College, Schumacher College, Totnes Development Trust, King Edward VI Community College with input from South Hams District Council. We also discussed growth, and agreed we want to see growth in happiness and wellbeing. Economic growth is welcome in this context, indeed we want to see growth in some sectors like renewables, but it’s not the primary objective of our economy. There’s more detail here about the outcomes of this workshop, and there’s help for running your own vision workshop elsewhere on the REconomy website. T-Brixton just ran their own version of this and we will share more about this shortly. What questions do we want to answer? We then agreed the scope and the research questions for this Economic Evaluation project (called the Local Economic Blueprint in Totnes, called something else in other places). It was decided to investigate the 4 sectors that play an important role in our community’s sustainability and resilience: food – allowing us to feed ourselves, retrofitting – allowing us to live in warm homes with minimised energy bills, renewables – allowing us to benefit financially from our own renewable energy assets, and care & health– taking care of our health and the most vulnerable people, exploring the gift economy in particular. How much do we spend on food and drink here today? Where is this money spent? 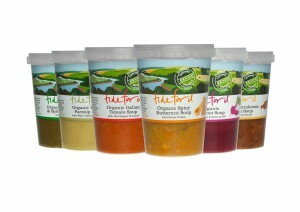 What’s the value of the food and drink we produce locally? 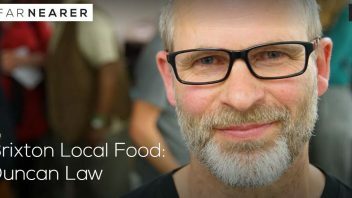 How much do we spend on local produce? …and then be able to articulate WHY it matters where the money gets spent, and where the food comes from. We then did a lot of digging for publicly available data that would help us answer these questions. This effort was repeated for each of the 4 sectors we looked at in Totnes (due to resource constraints, much less time was spent on care and health). You can see all of the data sources we used in the detailed reports referred to later. 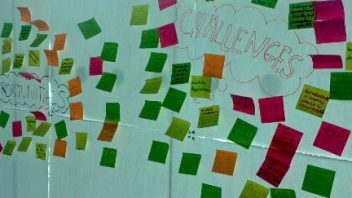 Once we had some answers in each sector, we got together a small group of local experts to discuss the findings, and suggest a number of projects that could turn the potential opportunities into reality. This also included mapping existing projects that were already underway in each sector. The stakeholder group was then brought back together for 2 x half day sessions, where the initial findings and potential projects were presented and discussed. A month or two later, the whole group met again, this time for a day, and together we looked at each potential project (there were 38 of them) and prioritised these into a workable approach. This includes a key job role which will enable delivery of the whole economic strategy, and work to further define the indicators that will assess our progress. Most importantly, each stakeholder organisation stood up and said how committed they were to the work, and each offered a proposal of their role in helping to make it happen. In terms of what we can share – we have created detailed reports for Food, Retrofit and Renewables. There is no detailed report for Care and Health as this was a much lighter exercise given resource constraints. However, we don’t expect most people will want to read these (in Totnes), they are shared mainly for those of you that might be interested in doing similar work in your own community. Rather, the main output of this work in Totnes is the summary that pulls together all of the key findings in a nicely designed report, written in an accessible and engaging way, that tells to story of this new local economy. What happens next in Totnes? We’re excited about what happens next – TTT continues to hold the coordinating role on behalf of the stakeholder group, and are sharing more information about their detailed implementation plans now the summary report is public. A link to the reports is below. The work in Totnes has been wonderfully well supported by Jay Tompt on the detailed retrofit and renewables work, and Frances Northrop with the stakeholder group and final report work. Jane Brady gets the credit for beautifying the final report. The work in Totnes was kindly funded by the Calouste Gulbenkian Foundation. So where are the reports? You can find all the reports for download over on the Economic Evaluation page.